Shakira’s 4-0 sign-language says it all!!! Gerard Pique should look away now after images of his wife Shakira making a 4-0 sign with her hands went viral on social media. All is not what it seems however. On February 2, the Colombian singer celebrated her 40th birthday and released the photo at that point. Users of Twitter, Facebook and Instagram were quick to put out memes of the picture after Pique’s Barcelona were humiliated by the 4-0 scoreline at Paris Saint-Germain. 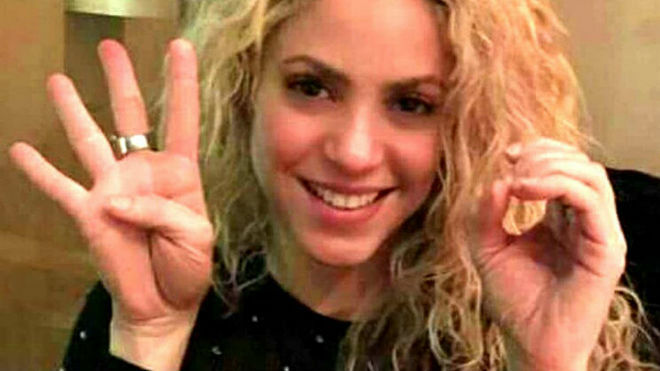 Some users had even suggested that, in fact, Shakira was predicting the result of Tuesday night’s game.